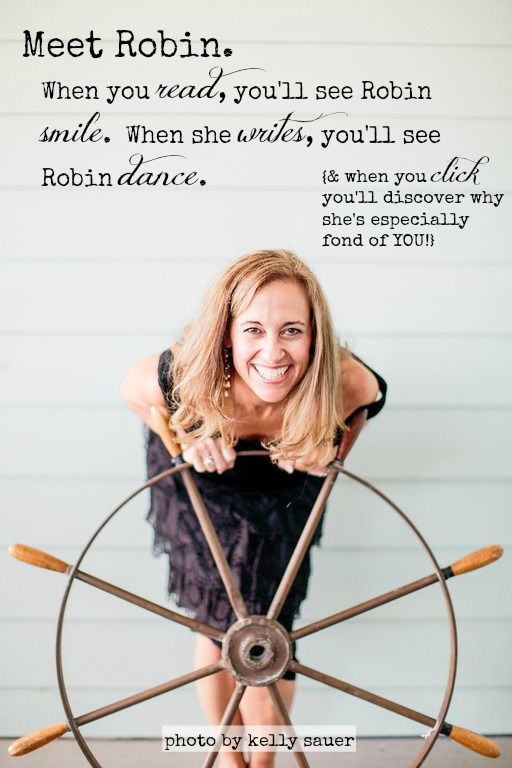 A collection of links I love, sites I like, things to do and interesting reads. Just in case you were wondering, there are 88 days until Christmas. Some of you will bless me and some of you will curse me for that little reminder. 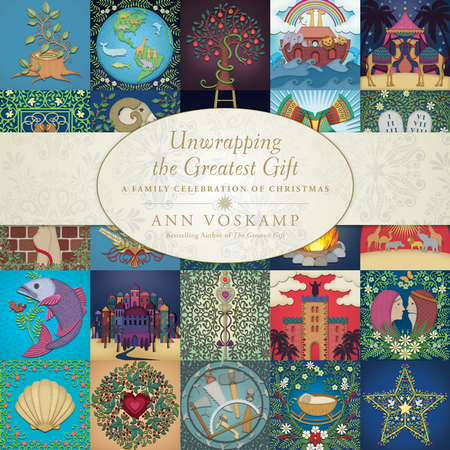 Highly anticipated and a book I cannot wait to get my hands on is Ann Voskamp’s Unwrapping the Greatest Gift: A Family Celebration of Christmas . It’s #1 on Amazon for a reason: it’s a significant and meaningful exploration of the Advent season, providing a simple way for your family to celebrate together. List price is $24.99. Use my link while you can get it for $14.99! Available now for pre-order, grab a copy for your family while you’re picking up this gift for everyone on your list! 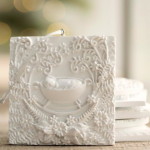 – If you’re willing to make a timeless investment for your family, buy The Greatest Gift Sculpted Ornament set. 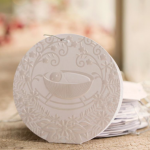 The price tag might deter you at first, but when you consider you’re receiving 25 high-quality resin ornaments that combine to tell a magnificent story, it’s absolutely worth it! Your children can handle them (carefully) and “touch” part of the story. There will be a limited number produced, so please don’t wait til the last minute. 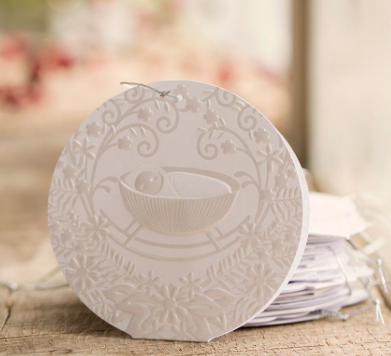 – More of us will be able to afford The Greatest Gift Paper Ornament Set, and don’t you dare consider it sloppy seconds. 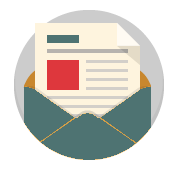 Yes, you’ll have to handle with care, but they convey the same message at a more accessible cost. Either way, it’s win-win and will only add to your reading of the book. 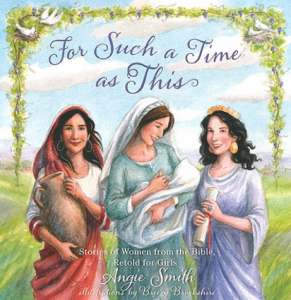 For Such a Time as This: Stories of Women from the Bible, Retold for Girls by Angie Smith. Angie will bring stories to life for your daughter with her words, but it will be Breezy Brookshire’s illustrations that seal their memory. I can’t wait to see this one, too. List price is $14.99 but you can get it for $10.11 for at least the time being. 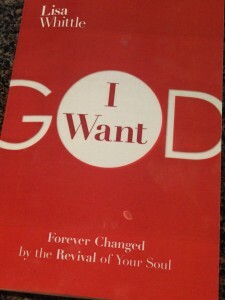 I Want God: Forever Changed by the Revival of Your Soul , Lisa Whittle. 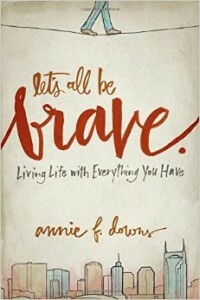 Where Annie’s book is a battle cry, Lisa’s is a beggar’s plea. One of the funnest aspects of reading this book is having heard Lisa talk about it before it was ever finished. She wasn’t sure how it was going to go (what most authors discover) but I *think* she nailed it. 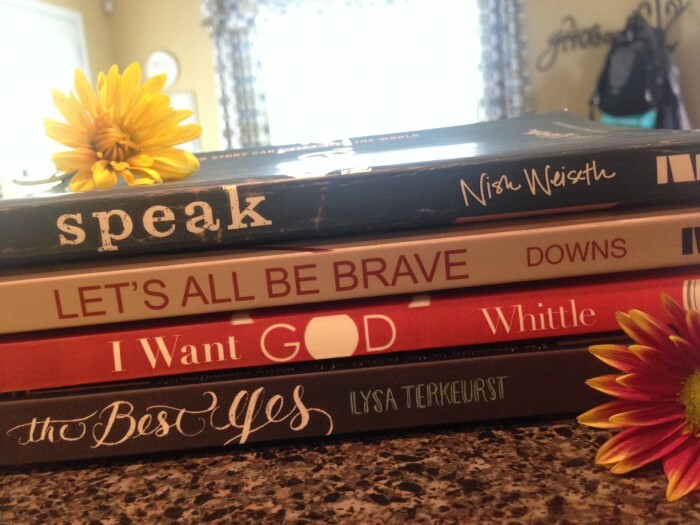 Why you should buy and read it: Lisa is passionate about our need for revival and the way she speaks to the heart of the matter is inspiring. It’s hard not to want more of God as you consider how this fundamental desire shapes your faith. 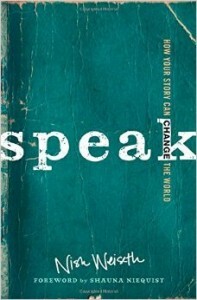 Speak: How Your Story Can Change the World , Nish Weiseth, forward by Shauna Niequist. If you’re a follower of my posts at Deeper Story, you might recognize Nish as the site’s founder. Nish is young, strong and bold and she’s a champion of Story and Storytellers. She lives what she professes. Why you should buy and read it: Speak feels more like a conversation than a book and you’ll plow through it quickly because of it (I almost finished it in one sitting). You’ll come away realizing your story is of value, and through it, you can impact your little world and our big world. UPDATE: Another WOW Sale! Only $3.99 for Kindle! Don’t let this get away! 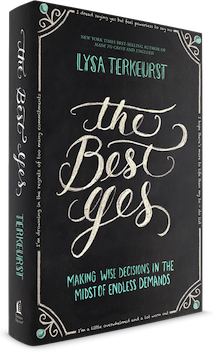 The Best Yes: Making Wise Decisions in the Midst of Endless Demands , Lysa Terkeurst. For years I bowed to the tyranny of the urgent and the idol of Busy. I didn’t think this book was for me because I’m on the other side of those challenges. I was wrong–Lysa’s message is so strong and clear, there was plenty more for me to learn. Why you should buy and read it: You’ll begin seeing more clearly the differences between “better” and “best” in your own life, and it will empower you to move beyond the paralysis of indecision to the power of making right decisions. 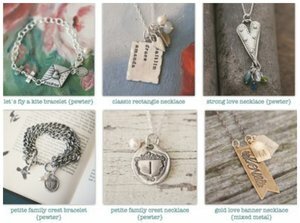 Please note that when you click through and purchase I’ll earn a tiny percentage through my affiliate links. This in NO WAY increases what you pay, it’s a thank you from the etailer for my referral. And…this is one of the few ways I’m compensated for writing in this space, so I’m incredibly grateful for your support and ANYTIME you use my affiliate links! Typically my weekly round-ups are not related to e-commerce but I’m particularly excited about the books I’ve shared. I hope you’ll find something you can’t do without :). 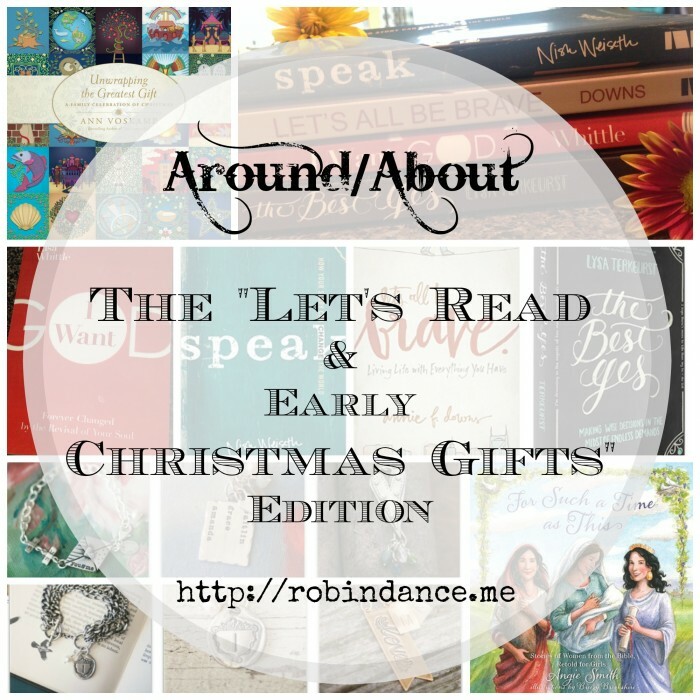 Your turn: What have you read I might’ve missed this week? Whether a book, a great blog post or interesting article, please share!